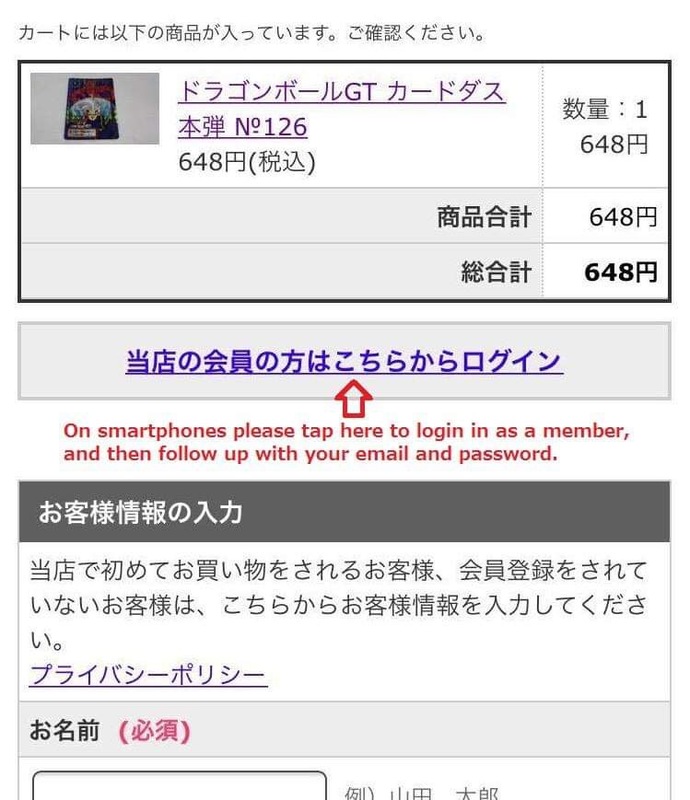 Thank you for your interest in VINTCOLLECT.It is possible to order from overseas, but because the site system cannot operate in a language other than Japanese, for now customers must proceed through the Japanese checkout system. Here is a short guide which hopefully can help you through the process. 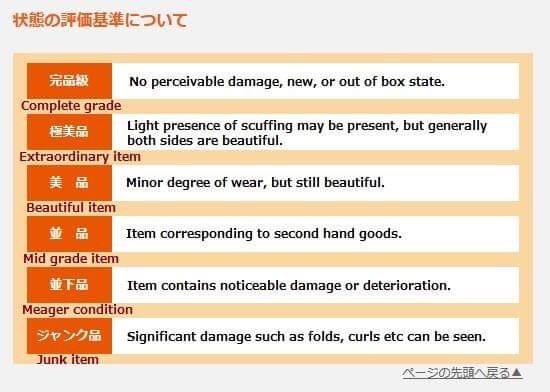 First please check the condition of the items. They are evaluated using the above criteria. Click here to add an item to your cart. 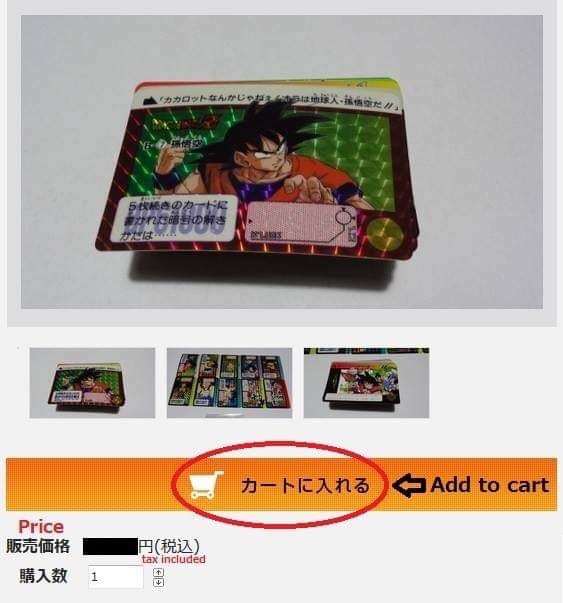 From the cart, you can go back to continue browsing, or you can go directly to checkout. 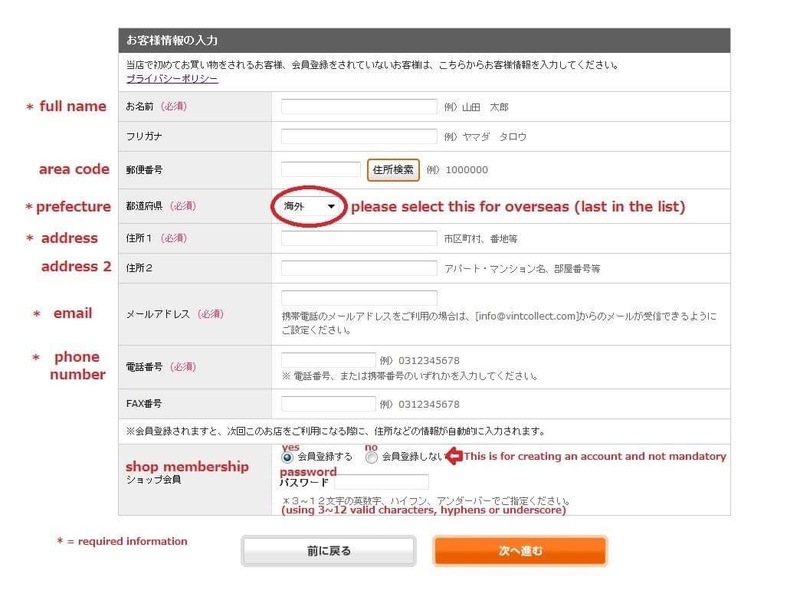 When filling out your personal information, please be sure to check the "overseas" selection in the "prefecture" column.It is possible, but optional, to create an account as well. Creating an account is recommended if you wish to simplify orders in the future, as it will retain your information and provide for an easier checkout. 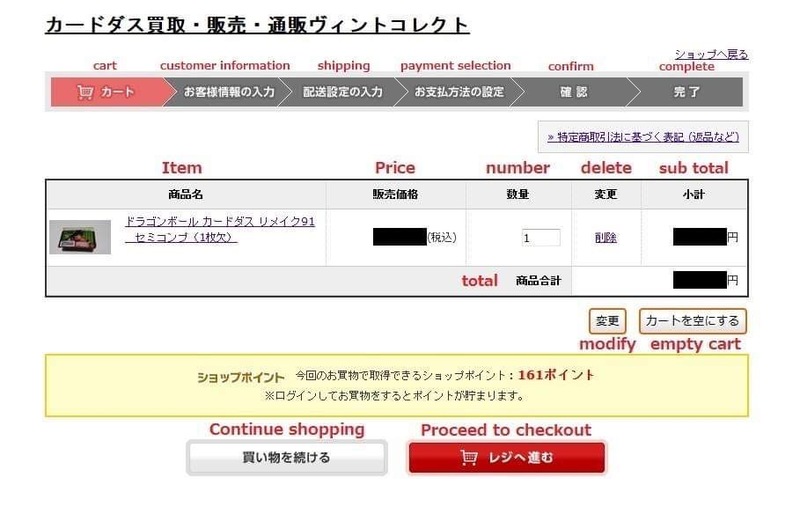 When shipping overseas, only "international shipping" is available. 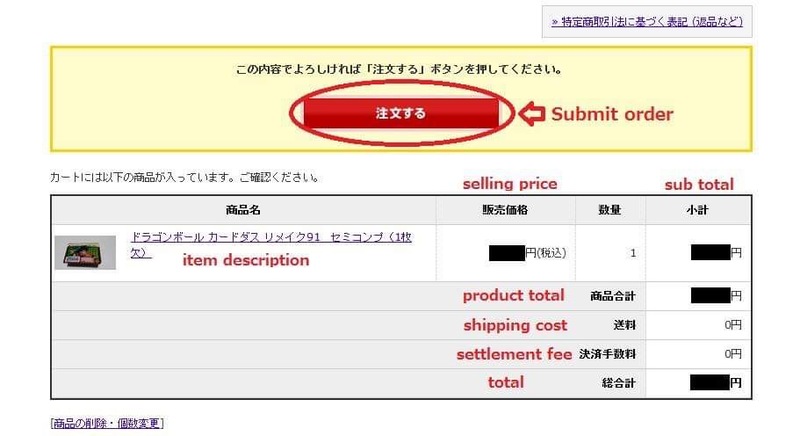 Paypal is the only payment method when buying from overseas. Before submitting the order please check that content is correct. Please submitting order if there is no mistake in the content described. 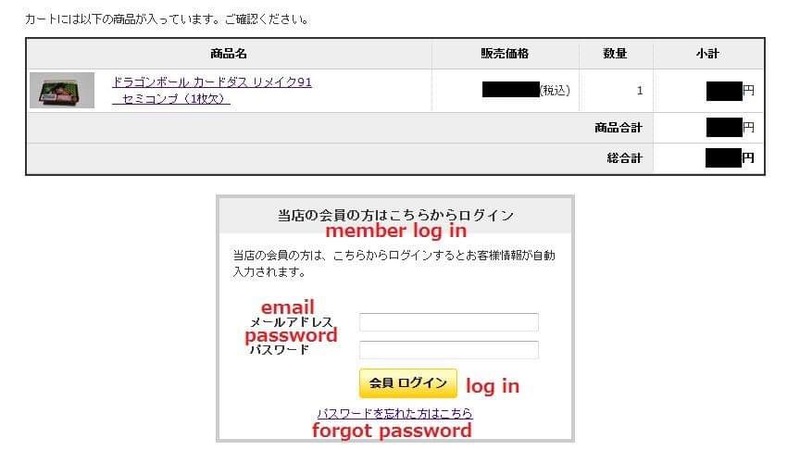 You will given a choice to log in when you proceed to checkout. By doing so all information you filled in when creating the account will automatically fill in. カラーミーショップ Copyright (C) 2005-2016 GMOペパボ株式会社 All Rights Reserved.